Snow-clearing help is on the way from Edmonton, Red Deer, Okotoks and Medicine Hat, bringing additional plows and sand-spreaders to help make Calgary's roads passable. A snow route parking ban goes into effect at 10 a.m. Wednesday. Calgary is calling on its friends to help dig the city out of a record-breaking October snowfall. Snow-clearing help is on the way from Edmonton, Red Deer, Okotoks and Medicine Hat, bringing additional plows and sand-spreaders to help make Calgary's roads passable. "There's a lot of work to be done, and we're going to need some help to get it going," said Calgary Emergency Management Agency chief Tom Sampson. Bill Biensch, roads maintenance manager, said the city's snow response typically starts on Oct. 15, but 85 per cent of contractors responded to the city's call to start the snow-clearing season early. There were 18 city graders, 16 hired graders and 42 sanders on the road by early afternoon. A section of the Trans-Canada Highway was shut down in the late afternoon. George Alvarez was one of those stranded motorists near Lac des Arcs just east of Canmore. "People are frustrated," Alvarez told The Homestretch just before 5 p.m. MT. "I've left Banff at 10:30 this morning. I spoke to a truck driver who said there were a couple of semi-trucks that jackknifed at the top of the hill." "I brought water and I had a couple of chocolate bars but I have eaten them now, so we will see what happens." A snow route parking ban takes effect Wednesday at 10 a.m. MT. The ban is expected to last 72 hours. 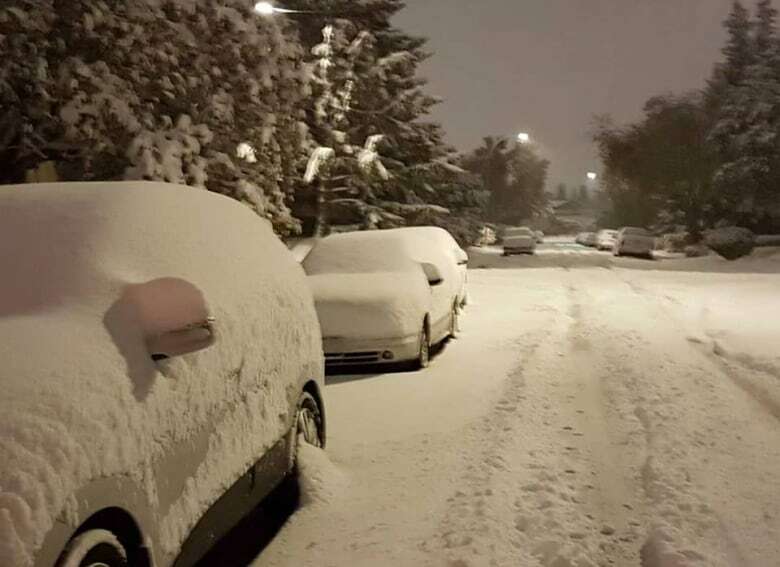 A record-breaking 15 to 25 centimetres fell in Calgary overnight, CBC meteorologist Christy Climenhaga told the Calgary Eyeopener Tuesday morning. The previous record for Oct. 2 was set in 1954 with only about five centimetres. "But the all-time extreme record for one day in October is about 30 centimetres in 1914, so you guys are on your way to breaking that," she said. By 4:30 p.m., parts of the city had reported getting 40 centimetres, the city said in a release. The snowfall came fast and heavy, which made roads and highways slick for morning commuters. There were 251 collisions reported in the city between 11 p.m. Monday and 3:30 p.m. Tuesday, many involving minor injuries. 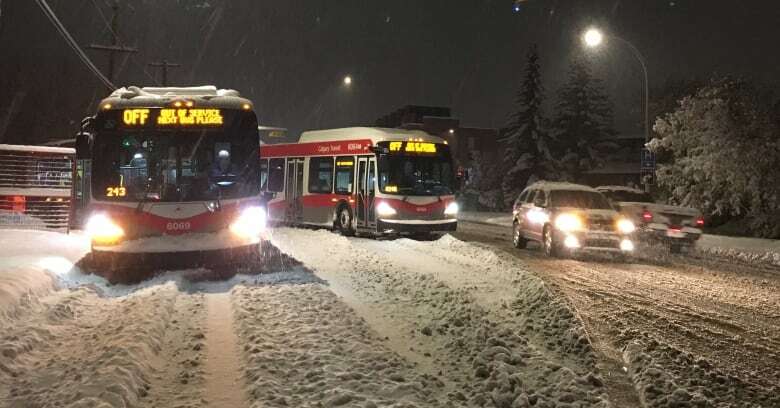 Calgary Transit reported Tuesday morning buses that travel on hills were having trouble navigating the slippery roads, so commuters with stops in the middle of hills were asked to wait at either the top or bottom. 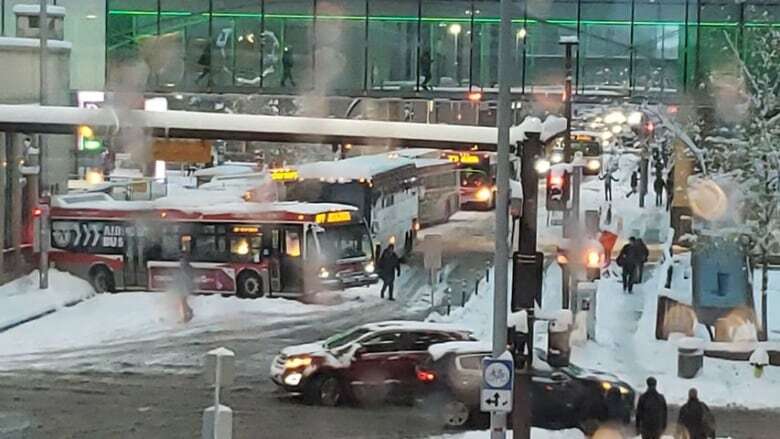 Doug Morgan, Calgary's director of transit, said as many as 80 buses got stuck in Calgary during the morning commute. "Today was a bad day. It was a bad day for delays and stuck buses," he said. Buses on Routes 2, 3, 4, 5, 6, 53, 54, 72, 73, 77, 93, 94, 305, 408 and 422 were on snow detour by 3 p.m. MT, and both the Red and Blue lines of the LRT were running several minutes behind schedule — and for a few minutes, both lines were entirely blocked. Other routes have temporary partial route changes, all of which are detailed on the transit authority's website. According to Climenhaga, the cold and snowy weather system is the result of a steady flow of moisture coming over the Rocky Mountains from a low over the Pacific Ocean. "What that's doing is it's colliding with an extremely cold air mass … that has been set up over the Prairies for weeks, really … but you're seeing a steady, steady line of moisture hitting that cold, cold air." Calgary police are urging people to adjust their driving. "A lot of people seem to forget how to drive. In fact, they just haven't taken the time yet to adjust. We need to increase the following distance, leave yourself more room to stop and avoid quick movements," Const. Jeremy Shaw said. And the weather is showing no signs of letting up early, as Environment Canada has much of southwestern Alberta under more snowfall warnings. According to the agency, general snowfall amounts of 15 to 30 centimetres are expected, but up to 45 centimetres could fall in the mountains. "Snow is forecast to taper off from north to south. 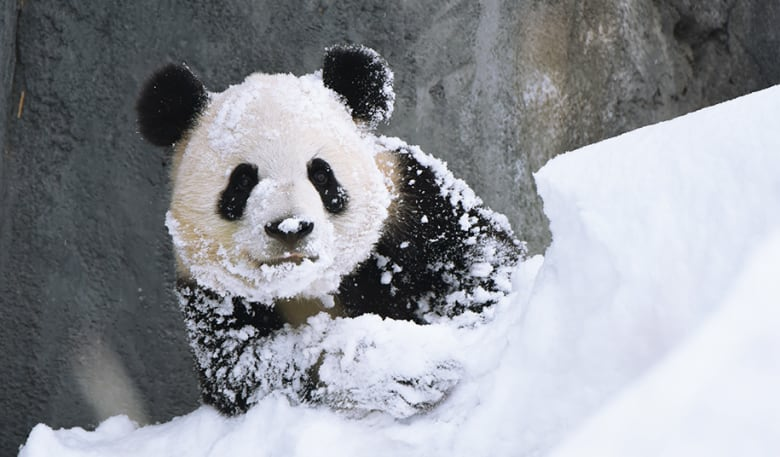 Snow will end this evening in Jasper and by Wednesday morning in Pincher Creek," Environment Canada said. Traffic on the Trans-Canada Highway west of Calgary was badly snarled for much of Tuesday. The eastbound lanes west of the Exshaw turnoff were backed up for more than three kilometres. RCMP said westbound lanes were also jammed, but that the "parking lot" has since been cleared. They advise against travel in the area. Airdrie – Cochrane – Olds – Sundre. Cardston – Fort Macleod – Magrath. Brooks – Strathmore – Vulcan. Crowsnest Pass – Pincher Creek – Waterton Lakes National Park. Lethbridge – Taber – Milk River. Nordegg – Forestry Trunk Road Highway 734. Okotoks – High River – Claresholm. On a break from city council meeting, Mayor Naheed Nenshi thanked the communities that sent help. "Thank you for being great neighbours and no, Mayor Iveson, you are not allowed to drive the plow and I want to know how you had enough time to film that great video." For up-to-date Alberta weather visit Environment Canada. 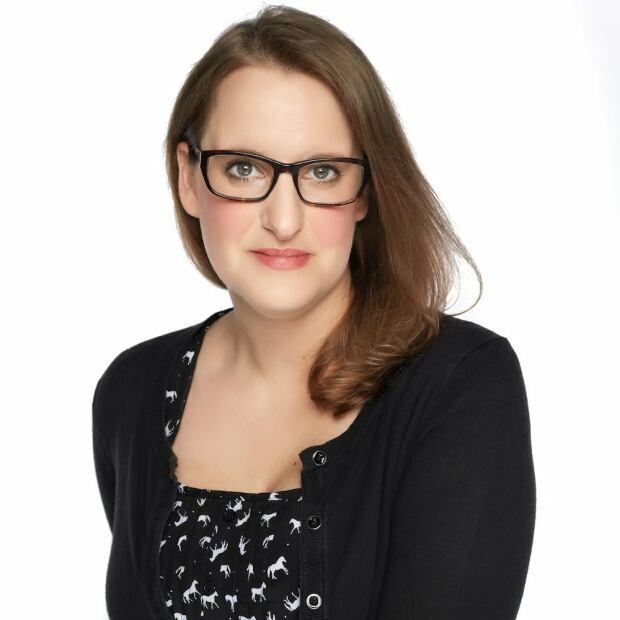 Carly Stagg joined CBC News in 2014. A graduate of Carleton University's school of journalism, she has worked in newsrooms in Alberta, Ontario, Nova Scotia and Hawaii.